Did Google put the screws to Acer? Did Acer cave to pressure from Google? A scandal has emerged in the global tech world, with Google being accused of pressuring Acer to cancel (at the very last minute) a smartphone launch with China's Alibaba Group. The smartphone in question was the Acer CloudMobile A800, which would have run on Alibaba's Aliyun operating system. Previous CloudMobile devices (like Acer's CloudMobile S500) used Google's Android OS. According to reports coming out of Shanghai, Google put the screws to Acer, threatening to pull Android support from Acer devices if the Taiwanese device maker launched a smartphone with Alibaba. According to the reports, journalists showed up to an event in Shanghai on Thursday expecting to receive news of the Acer CloudMobile A800's launch. Instead, they were refused entry and informed by a representative of Alibaba that the CloudMobile A800 had been cancelled. Alibaba then released the following statement: "Our partner received notification from Google that if the new product launch with Aliyun went ahead, Google would terminate Android product cooperation and related technical authorization with Acer." 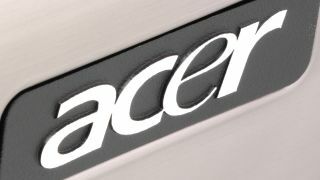 Google and Acer representatives in Tokyo and Shanghai, respectively, have reportedly declined to comment, and TechRadar has so far received no response from the companies' U.S. representatives. In May of this year, Alibaba bought back the portion of its shares that was previously owned by Yahoo, reversing a deal that was made in 2005. Alibaba reportedly hoped to gain more control over its own operations, while Yahoo doubtless enjoyed cashing a $6 billion check. Acer, meanwhile, apparently didn't mention the partnership with Alibaba in early September when company president Jim Wong announced six new Acer smartphones in Europe and Asia for 2013, with five running Android and one on Windows Phone 8. Perhaps he saw this coming.